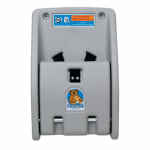 The Koala Kare KB102-01 gray, wall-mounted child protection seat includes safety straps to secure children in the seat and is made of high-density polyethylene to withstand heavy use. With its fold-up design, it can be put out of the way when not in use while Microban® antimicrobial protection deters bacteria growth. 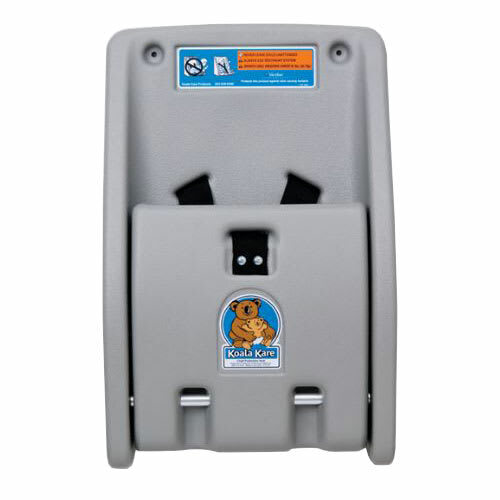 A small footprint provides a convenient place for a child to wait while their parent uses the facilities, and this child protection seat also comes with Braille instructions and a molded graphic. The Koala Kare buying guide has in-depth information on safety seats.